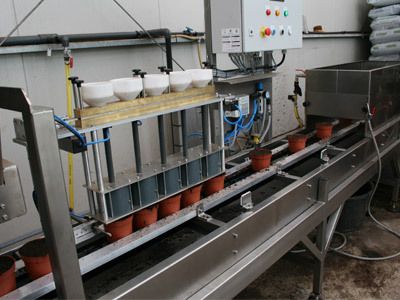 The Auto Seeder Granudine is perfect for seeding naked seeds equally in bigger amounts, in pots or trays, with a high capacity. Seed species, such as Alyssum, Lobelia, different kind of annuals and herbs are easy to process with the Granudine. 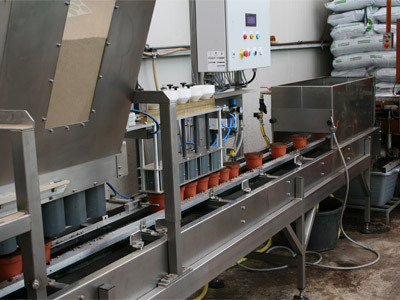 The seeder is equipped with a seed hopper, tube divider and seeding plate. 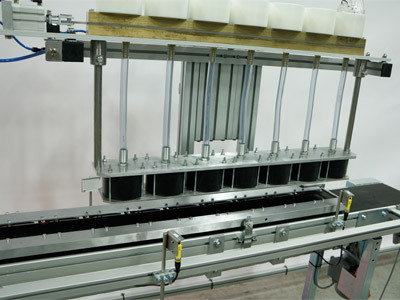 The quick changeable tube divider guarantees a short and easy change over to another tray size. 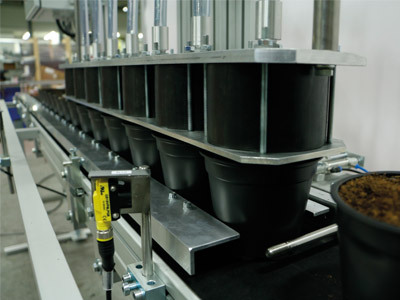 The seeds are equally divided in the tray or pot via dosing pots. 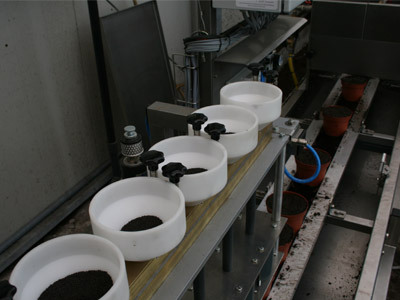 The variety in the amount of seeds is obtained by changing the seeding plate with a model with a different size hole. 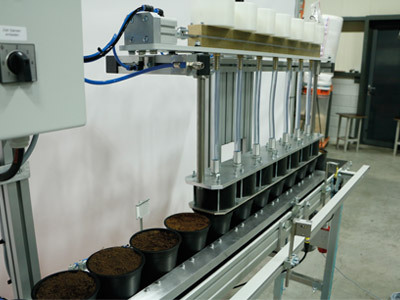 The seeder is available for low capacity requirement and it is easy to expand the seeder to a higher capacity. 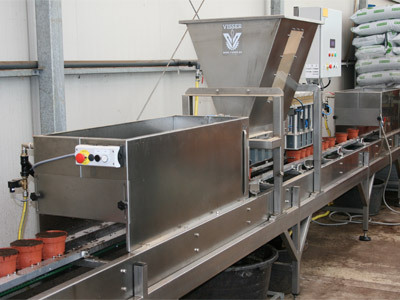 Why choose the Auto Seeder Granudine? Perfect for seeding naked seeds.